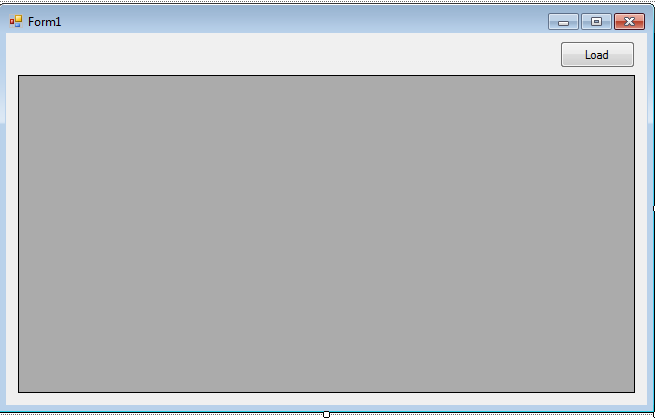 In this tutorial, I will teach you how to load data in the DataGidView in C#.net and SQL server 2005. 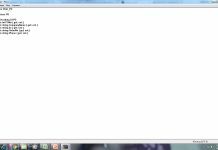 This method will help you retrieve data in the database to load those data in the DataGridview. 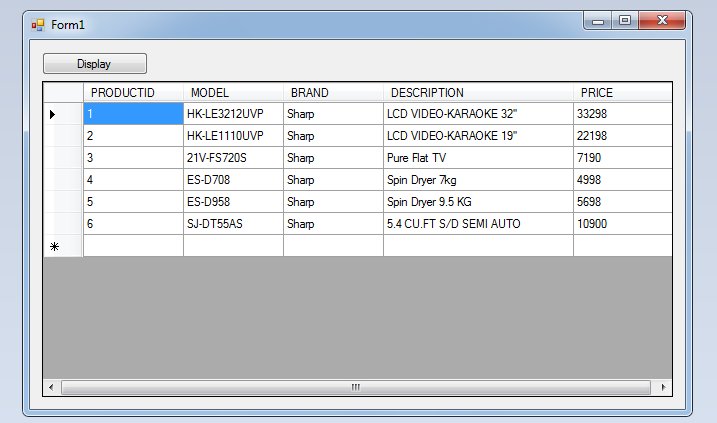 You can also control whatever data you want to display to the DataGridView. Create a database and name it “persondb”. After that, do the following query for creating a table in the database that you have created. In the code editor, declare all the classes and variables that are needed. After declaring the classes and variables, go back to the design view double click the form and establish a connection between SQL server and C#.net in the first load of the Form. 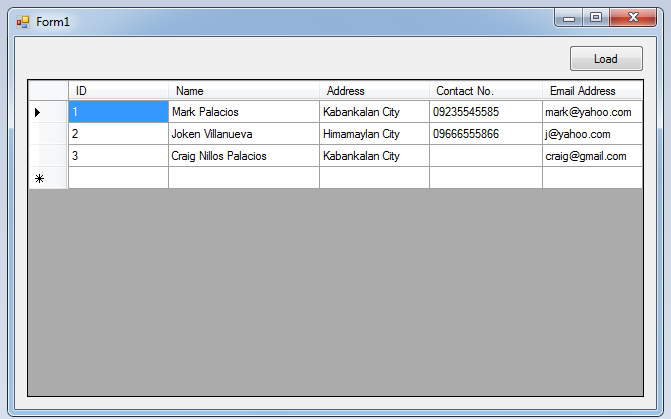 Create a method for retrieving data in the database to be displayed in the datagridview. 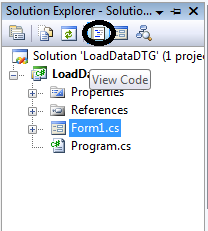 After declaring the creating a method, go back to the design view double click the”Load” button.